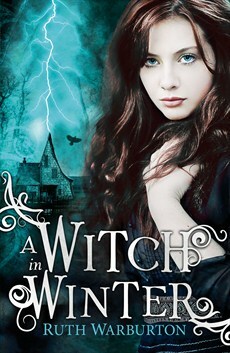 A Witch in Winter | Have You Read This One? I grabbed this book in the library on my way out to the bus. I hardly had time to read on the back cover. I saw the title and though “oh, witch!”. It did not start of by impressing me. A girl who moves into a scary big house, starts a new school, annoys a girl – without really doing anything – and gets to sit beside a hot guy (that of course the majority of girls on the school have a crush on), on her very first lesson and she hardly can concentrate on the book they’re sharing (she has of course not gotten her own book yet). All that was covered in the first 17 pages. I hoped that the book would get better once all that was out of the way. I was kind of reading the whole book waiting for it to prove me wrong. To prove that this wasn’t like “all the others”. It did not prove me wrong. It didn’t feel unique, it was more like one of these books I have read a few times before. Despite all this, it was easy to continue reading and it did not take that long to read. Could have been that I was eager to find out if there was a big twist coming or not. At the end of the book, it felt like it could have ended there. It did not feel like it necessarily was a first book in a series, it could have been a stand-alone. Nevertheless I think I will give the series one more chance. I think I will go past the library to get the next one. What if the twist comes? This entry was posted in English and tagged A Witch Alone, A Witch in Love, A Witch in Winter, English, Ruth Warburton, Winter Trilogy. Bookmark the permalink.